Physical Features: Central county near Austin. Level to rolling; mostly Blackland soil, some loam, sand; drained by San Gabriel River and tributaries; Granger Lake, Lake Georgetown. Economy: Agribusinesses, varied manufacturing, education center, government/services; the county is part of Austin metropolitan area. History: Tonkawa area; later, other tribes moved in. Comanches raided until the 1860s. Anglo-American settlement began in the late 1830s. County named for Robert M. Williamson, pioneer leader; created from Milam County and organized in 1848. Race/Ethnicity: (In percent) Anglo, 59.6; Black, 7.1; Hispanic, 24.5; Asian, 7.2; Other, 1.1; Two or more races, 2.8. Vital Statistics, annual: Births, 6,428; deaths, 2,625; marriages, 2,682; divorces, 872. Recreation: Lake recreation; Inner Space Cavern; historic sites; deer hunting, fishing; Gov. Dan Moody Museum at Taylor; San Gabriel Park; old settlers park; walking tours, rattlesnake sacking, barbecue cookoff, frontier days in summer; Round Rock minor league baseball; Cedar Park Center, home of Austin Spurs NBA developmental basketball team and the Texas Stars AHL hockey team. Minerals: Building stone, sand and gravel. Agriculture: Corn, cattle, sorghum, cotton, wheat, hay, nursery crops. Market value $129.6 million. GEORGETOWN (66,904) county seat; education, health, government/services, manufacturing, retail; hospital; Southwestern University; Red Poppy festival in April. ROUND ROCK (124,455, part [1,362] in Travis County) semiconductor, varied manufacturing, tourism and distribution center; hospital; Texas Baptist Children’s Home. Cedar Park (70,375, part  in Travis County) energy equipment manufacturing, millwork, concrete production, commuting to Austin; hospital, community college extension; steam-engine train; Cedar Fest in the spring. Taylor (17,451) varied manufacturing, wholesale, transportation, government/services; hospital, college extension campuses, museum, parks; Blackland Prairie Day in May. 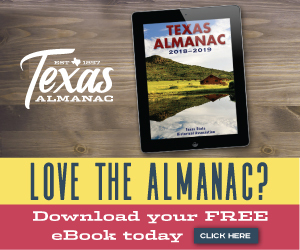 Other towns include: Andice (300); Bartlett (2,725, partly in Bell County) cotton, corn production, commuters, prison, first rural electrification in nation in 1933, clinic, library, Friendship Fest in September; Brushy Creek (24,749); Coupland (309); Florence (1,259). Also, Granger (1,508); Hutto (23,443) agriculture, manufacturing, government/services, commuters to Austin, museum, Olde Tyme Days in October; Jarrell (1,209); Jollyville (15,877, partly in Travis County); Leander (39,202) varied manufacturing, government/services, community college campus, Old Town street festival in May, Leanderthal Lady prehistoric site; Liberty Hill (1,585) artisans center; Schwertner (175); Thrall (943); Walburg (277); Weir (479). Also, part [35,697] of Austin. Downtown Georgetown from the courthouse square. Photo by Robert Plocheck.